My favorite thing that I did in this class was my Minecraft architecture project. 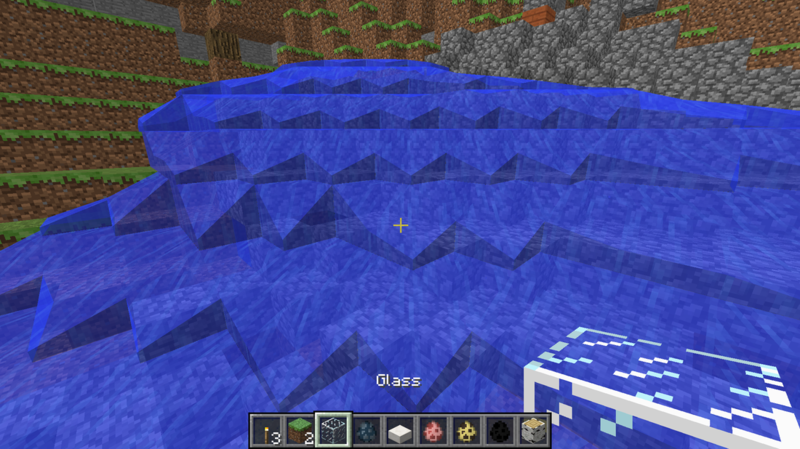 It was fun to use Minecraft because it was not very complicated or hard to use. I also liked seeing my progress each day and playing with different materials. Skills I have learned were using photoshop to edit photos and overlap images and text. Things I would do differently or keep the same are I would have Ms.Kushner teach us how to use photoshop a little bit more before we started working in photoshop. But I think she should always let students use Minecraft for the architecture project. This is my Minecraft architecture screen recording where I talk about the materials I used and all the furniture I built inside the cube. If I could go back and change something or have enough time to make a whole new screen recording I would talk more about the problem I am solving. The problem is there is no space for Chute students to relax and do homework that is open to the outside, the cube is glass so you can see outside and you can open the doors on nice days. You can also close them but still be surrounded by nature on cold days. Yesterday I added two lanterns to the first floor for light during nighttime, since the lava fall is gone and now it's darker. I put them near the two tables so you can see what you are working on better. 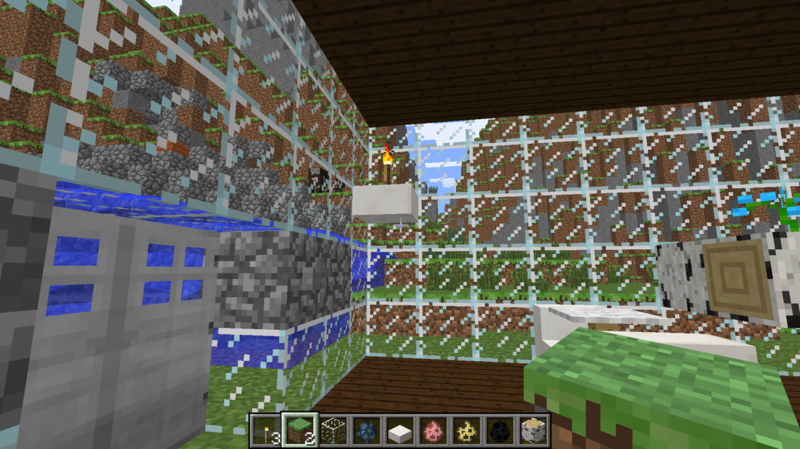 Yesterday I changed the material of the second floor from glass to wood so the floor on the second and first floor would be made out of the same material. 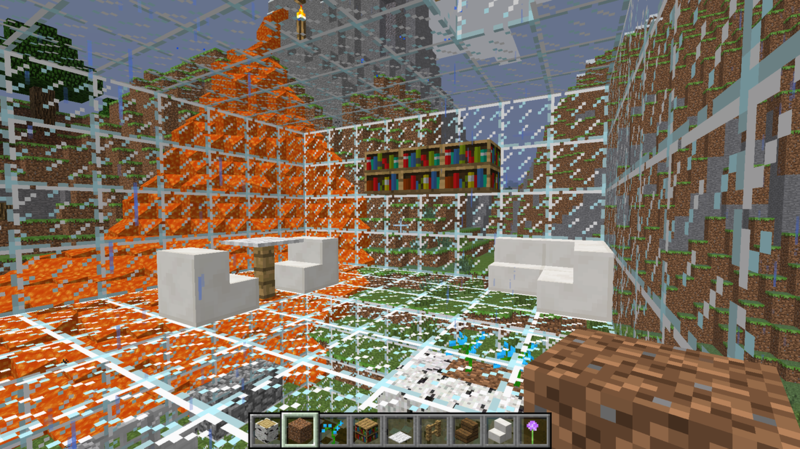 I also got rid of the lava fall right next to the cube so that the lava would not burn the cube if it overflowed. 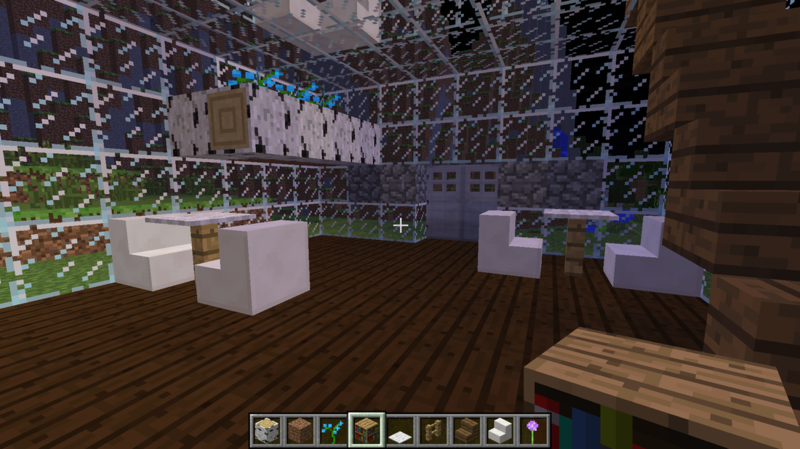 Yesterday I added tables and chairs to the second and first floor for students to work. 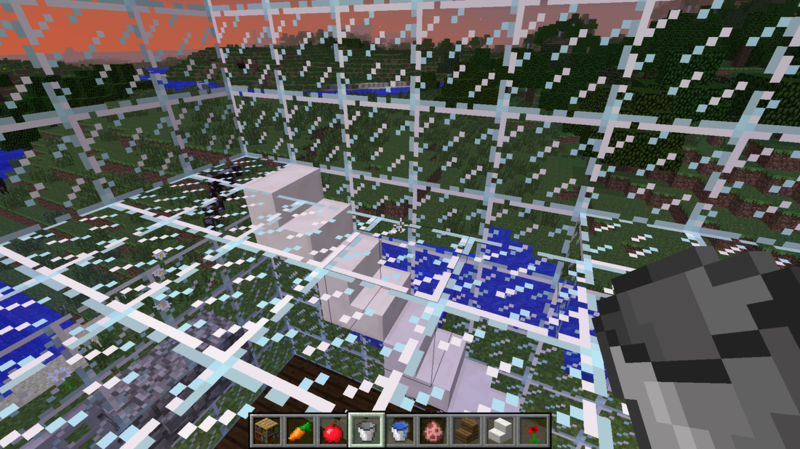 I also wanted to have hanging plants in the cube, but they didn't have any in Minecraft. So I made flower boxes that I attached to the wall and put flowers in. 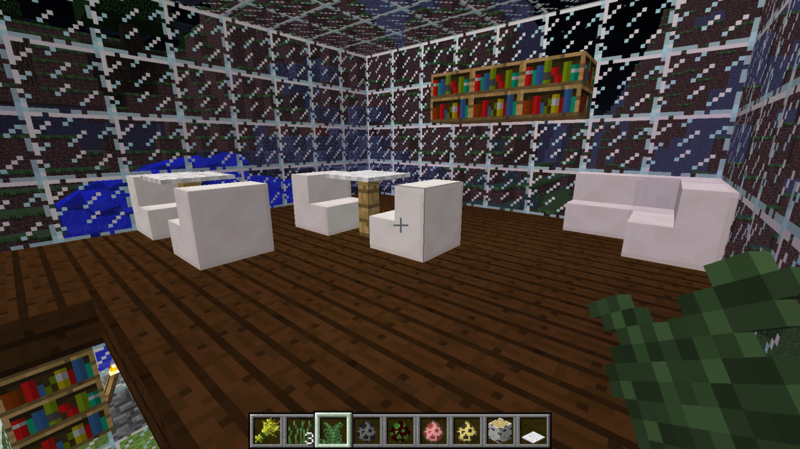 I also added book shelf's on each floor so students have easy access to books in the cube. Yesterday I added a second floor to the cube for more space. 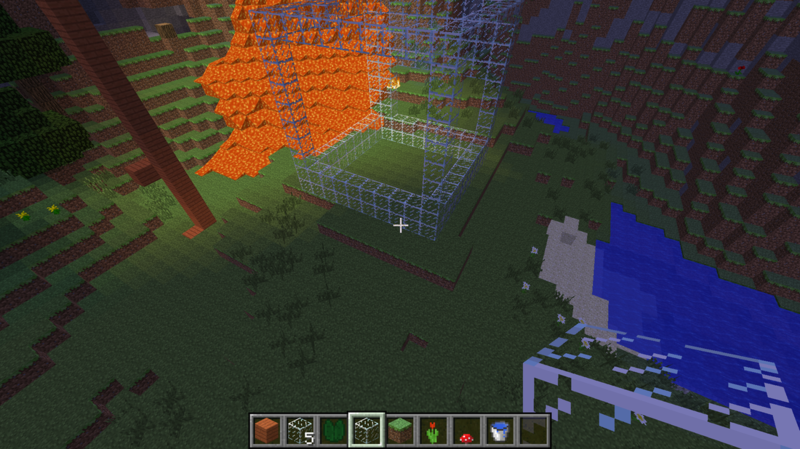 I also put torches above the cube so I can build at night and be able to see well inside the cube. This is my archietecture plan, I am going to build the cube in Minecraft. 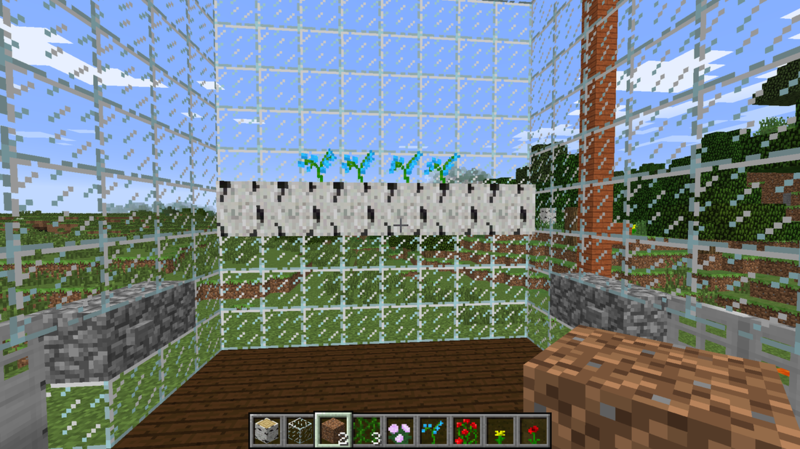 They don't having having flowers in Minecraft so I am attaching flower pots with flowers on the wall. I am also adding a second floor for more space. Yesterday I attached a flower pot to the wall because I wanted to have hanging plants in the cube, but they didn't have any hanging plants in Minecraft. So I decided to make flower boxes with flowers attached to the wall. 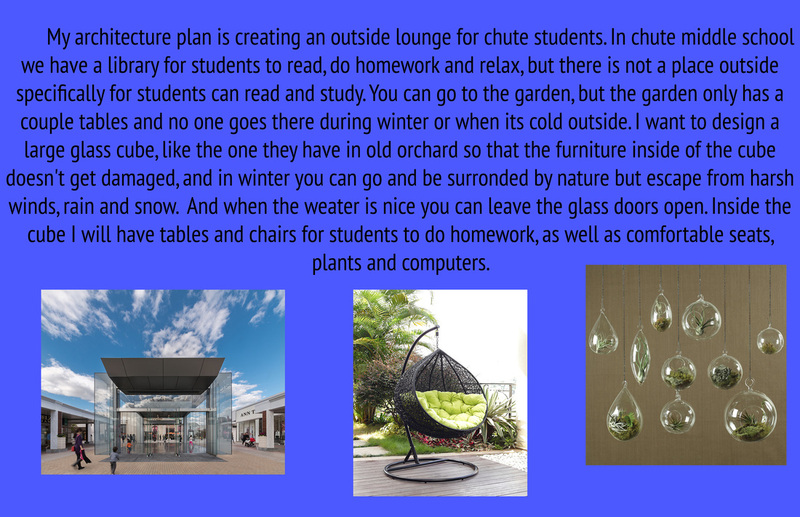 For the Architecture project I decided to design a glass cube for Chute students to do homework and relax. Here is a screenshot of what I achieved yesterday, I stacked up blocks so that when I go back into my world if I start at an unfamiliar place I have a place marker. In the second feelings poster I made, I wrote about the opposite of how judgemental society can be. This feelings poster is about how accepting and respectful everyone is. 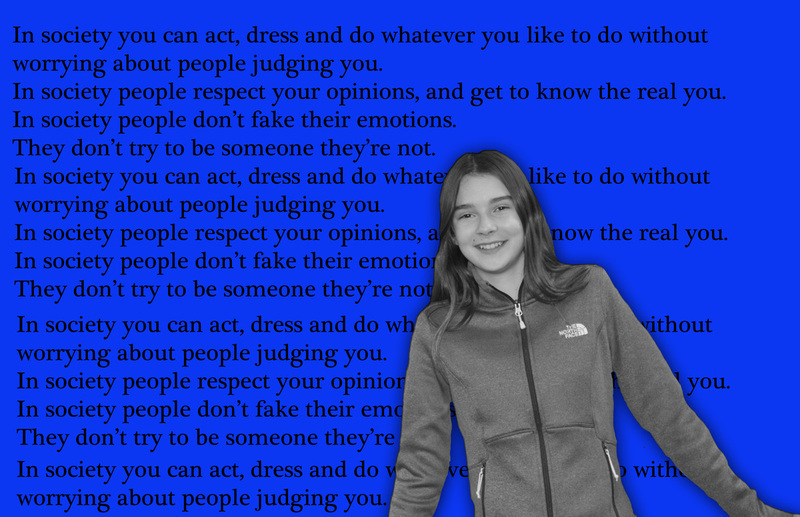 I talked about how people act and dress however they want without worrying about being judged. I posed facing the camera and smiling to show how happier people would be in an accepting community. I added the shadow fx around my body to make it pop out from the background. I am a 7th grader who is in media arts. I enjoy soccer, swimming and reading.